As soon as it stopped raining I went out to take these photos and as soon as I did it decided to continue pouring down, typical! 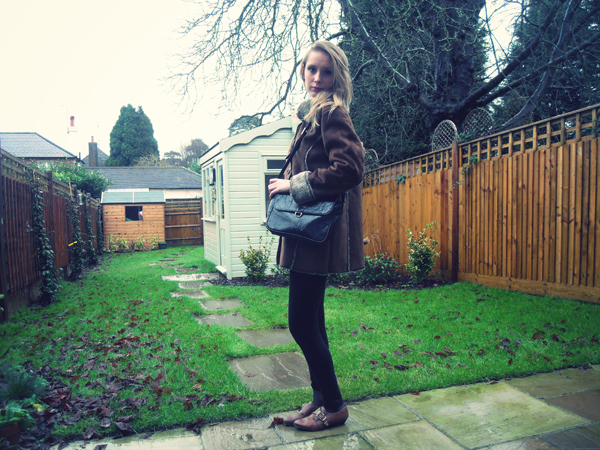 I literally only managed to take these few snaps before I got worried about the rain ruining my coat. Please excuse my awful hair and peeved off expressions, especially in the last image! 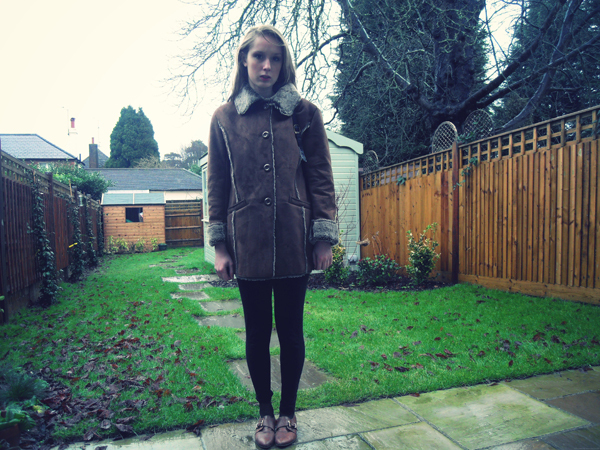 I found this coat the other day in the local charity shops, it was a real bargain and is extremely warm thanks to its faux fur lining. Thanks go to Amanda from the Upside of Wonder for featuring me in her 'Looks I Love' post on sunday. You can view it here. 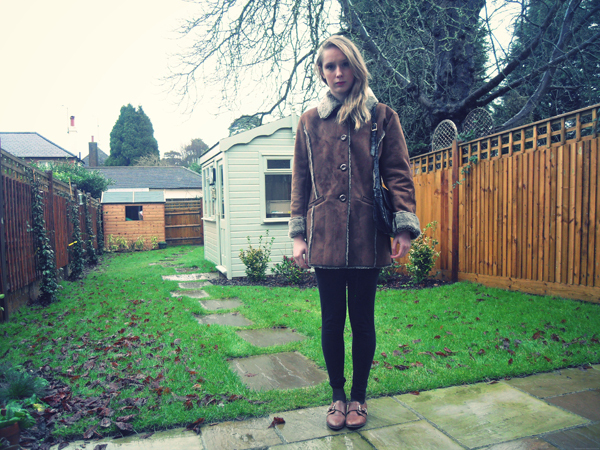 oh wow i love that coat :) i have one a bit similar! My blog has returned with all accompanying cultural news during the week. Hope you enjoy. Follow me. Hugs good week. 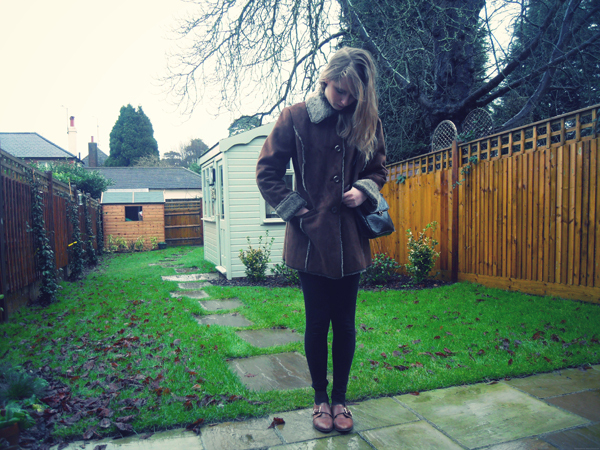 I can't believe your coat was hidden in a charity shop; it's gorgeous! What a great find that coat is, i never have such luck! i love that coat. it's amazingliy beautiful! hello cutie! thanks for the follow! im following you now too <3 i love rain but it definitely ruins plans and makes my day a little depressing. but thankfully you got to take these adorable photos before it started pouring again :) i really love that coat, what a great find! i love your blog, doll! I'm your new follower - i hope you come visit me soon :) I move to Australia in just 10 days!!! awesome blog, following you back! !